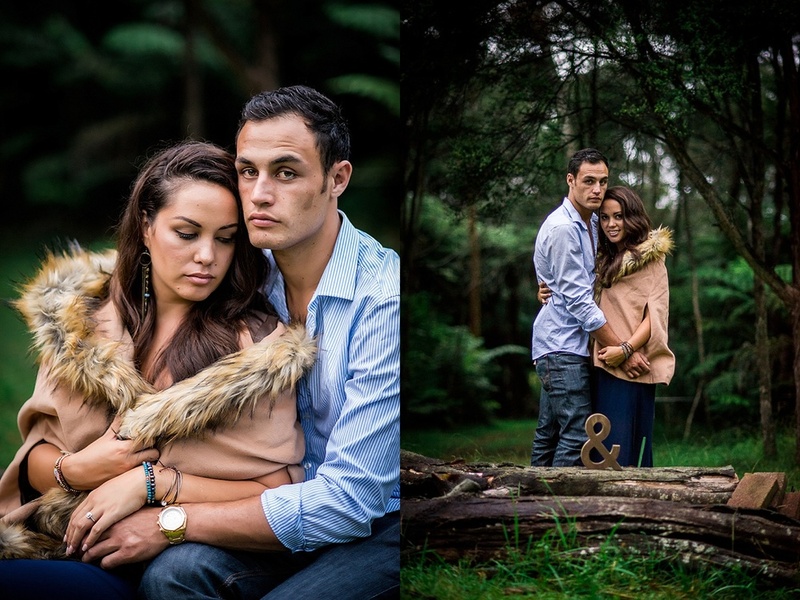 After a quick change in locations I was also so excited when I found out that I would be doing their shoot on Krystals parents' amazing property in West Auckland - its a photographers dream! While the weather didn't quite turn on what we had originally hoped I was still looking forward to have such gorgeous even and soft lighting to work with; it brings out the amazing richness in the colours, and to top it off we had some rain at the end of the evening to make a perfect photoshoot even more spectacular! 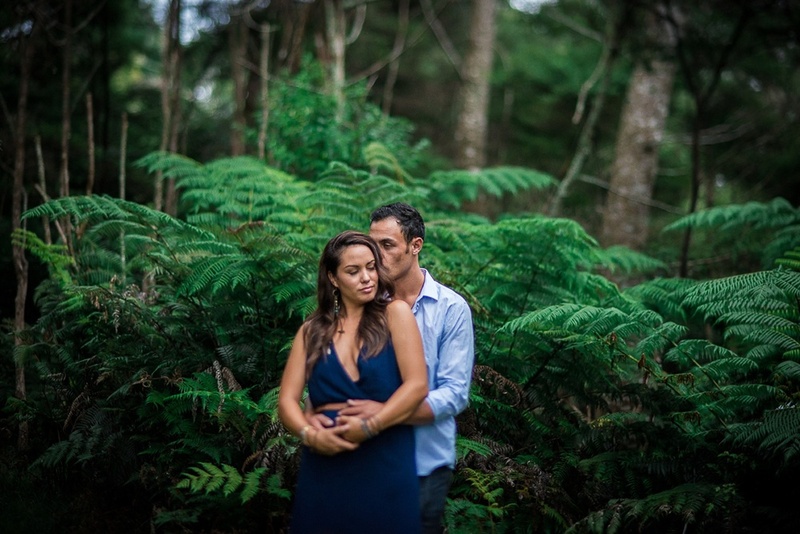 In fact, Krystal is an amazing assistant and second photographer on some of my shoots and weddings, no doubt if you book with me you will likely see her smiling face on your day! We also had a couple of visitors say hello during the shoot, I think they wanted all the attention as they stood right in front of my camera and wouldn't move! When it gets a little dark its time to pull out the flash. When the rain comes out, you embrace it and use it to your advantage!!! !